Last weekend my neighborhood Farmers Market opened, which means (at least for me) that summer is officially here. I can’t wait to see what produce is cropping up at the market, and also visit some of my favorite stands and brands, like Country Mouse City Mouse, Traders Point Creamery, Capriole Goat Cheese and Local Folks Foods. Summer is here, and it’s a great time to start exploring what local foods your region has to offer. 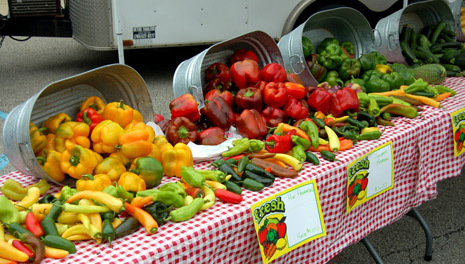 Discover new farms and new foods in your area by searching for them on LocalHarvest.org.